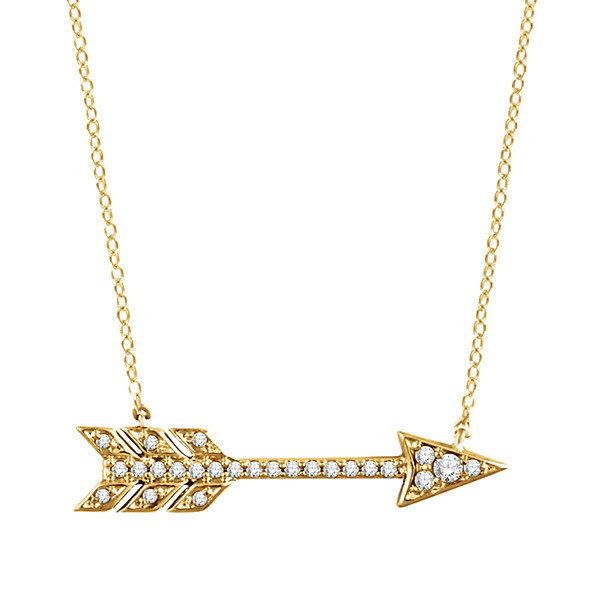 Point out your style savvy with this arrow necklace. Crafted in 14kt yellow gold with diamond accents, it will shoot straight to your heart! This necklace takes aim at one of the latest trends in jewelry tastefully and terrifically!